Manga Chapters: The first minute before the theme break covers the rest of chapter 5 to the end of chapter 7. Su-won is certainly interesting and calculative, I’m not sure if he knows his actions are wrong in becoming king but he also thinks its great that one of his elders, who is his blood brother’s honorary father thinks of him as family. He’s not as expressive as Yona or Hak, he’s such a blank slate, you never know what or how he’s thinking. We’re then introduced to the Wind Tribe and Tae-Yeon is adorable as well as Han-Dae and Tae-Woo fangirling about Hak and Yona, that was a much-needed laugh. 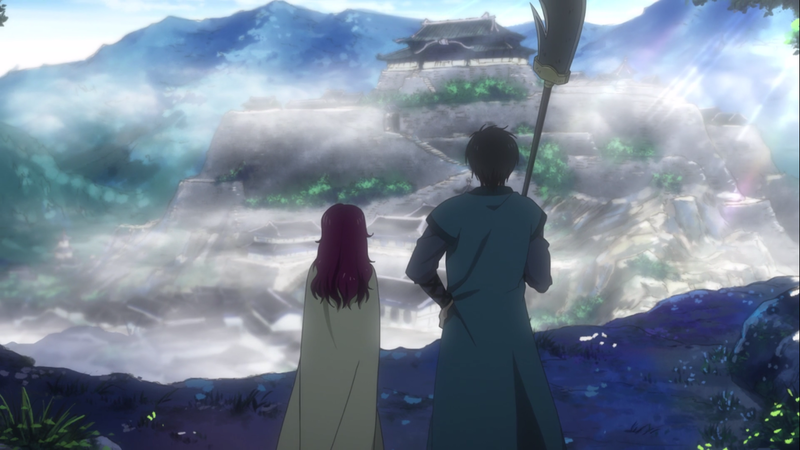 Yona starts to come back to herself and Hak is definitely suited for the role of leadership, whether he truly wants it or not. 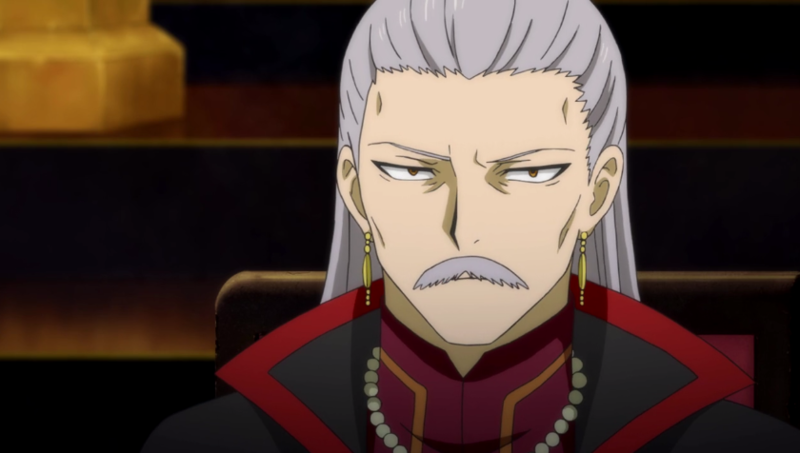 This guy is the only leader that looks like his tribe, he totally would be a fire lord. Manga Chapters: Episode lines up perfectly with the start of chapter 8 to the end of chapter 9. The title of a priest is changed to oracle, I would assume to avoid any religious controversy. Yona’s innocence with her and Hak’s playful banter is adorable. The balance of comical and serious moments is one of my favorite aspects of this show. 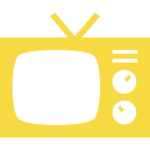 In this episode, it’s so meta. 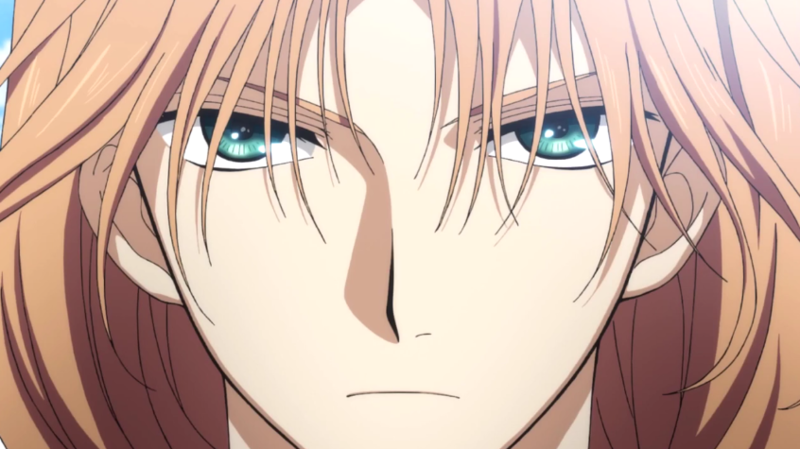 Hak is so chill, he just doesn’t care about Kan Tae-Jun’s monologue and Kan Tae-Jun’s asking to supplement his “nickname” so he can give an awesome speech to himself shows his level of maturity. We also get the biggest and most beautiful fight scene (yet) in the series. Monica’s voice acting, the music and animation definitely shine in this sequence. 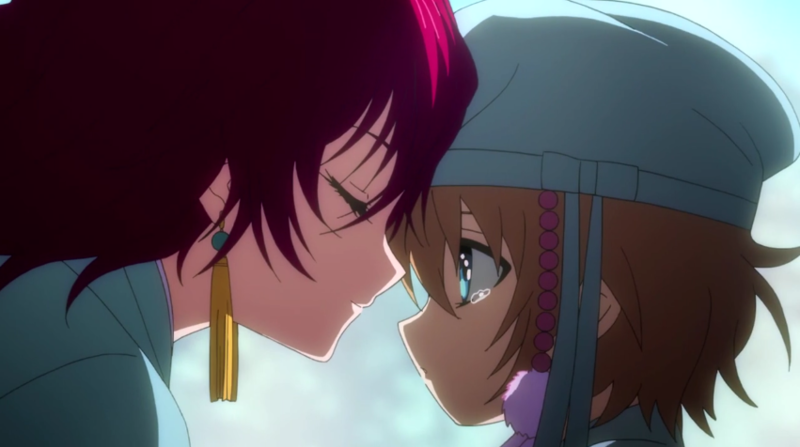 Yona finally becomes the person we saw in the beginning and it is glorious! 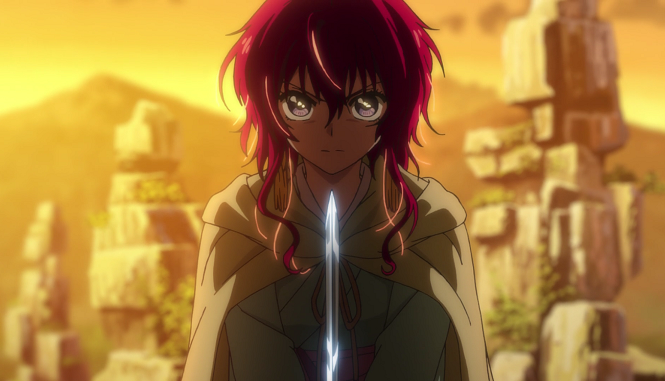 The music and dialogue are powerful, Yona’s level of passionate determination is definitely something to strive for. Fierce Yona is best Yona. Seriously, the music, the animation, everything in these first 8 minutes…I just have no words. Time for a little history lesson: In the tradition of ancient Japanese customs, cutting one’s hair is an act of relinquishment… of title, social status, of pride, etc. 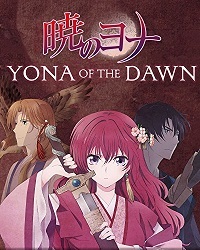 or as in this scene, an act of freedom for Yona, it symbolizes her separating from her past self and starting her transition into a more determined warrior. and Zuko and Iroh severed their ties to their homeland and the royal family as they had become traitors to their nation. It was most prominent in the role of a samurai, their top-knot hairstyle was an emblem of their status in society. If they abandoned said role (to pursue priesthood or become a laborer) they would have to shed that identity, therefore, their social standings would be demoted. Which differs from the Bushido code where had they broken the code they swore to or felt they had brought shame to themselves or the ways of a samurai, they would have to commit suicide, which is something Jack almost did. 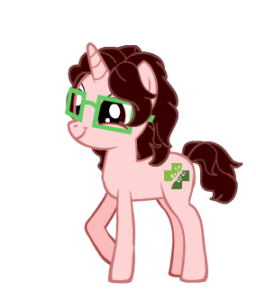 Anyway, on a lighter note, it’s a symbol of a renouncing your past to become a different person. 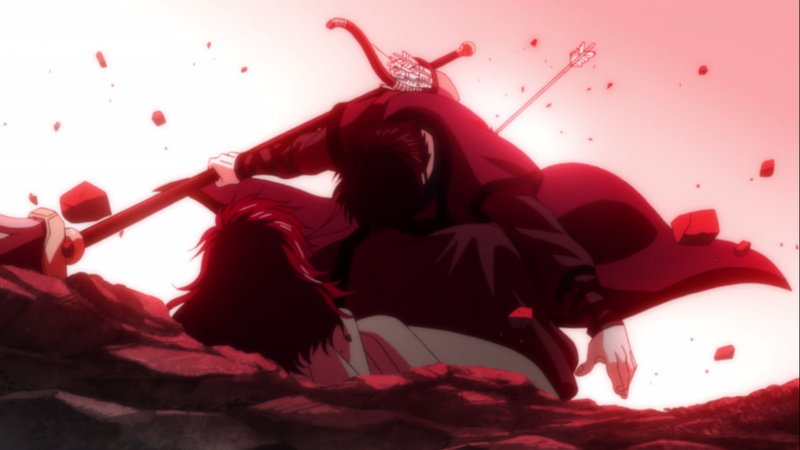 Yona literally cut on what was holding her back from maturing and taking the responsibility of her kingdom back. fiercely. 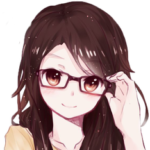 The Japanese saying “A woman’s hair is her life” represents how she carries herself in society, different hairstyles symbolized different things such as if they were in a relationship or not. Or however many ornaments, pins or combs they used to decorate their hair would represent their class, religion, or character. A woman’s hair is given high regard in Japanese culture, as their crown in a way, not just as a feminine attribute. Yoon is my favorite besides Yona, he’s so nonchalant about everything and Ik-su is a dramatic, adorkable baby bird.